This set contains all required parts to service 2 carburetters. Please note that for SU, we are sticking to the nomenclature that SU themselves also use. Hence, this is officially called a "Service Kit". 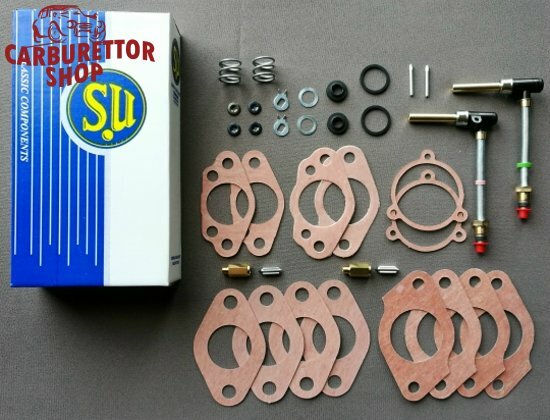 For the less elaborate Gasket Kits and more elaborate Rebuild Kits, please contact us by email, we will gladly help you.